Today I have the pleasure of posting the first part of an email interview that I conducted recently with Sarah Abernathy author of ‘So You Want to Have a Baby’. I’ve been wanting to go into more detail about the wonderful herb vitex, so I asked Sarah to share her insights and wisdom. I hope you enjoy it. What are some women’s concerns Vitex may help with? In one study, vitex outperformed vitamin B6 for relieving PMS symptoms like depression, headaches, water retention, and constipation. 77% of women taking vitex reported PMS relief, compared to 60% of those taking vitamin B6. In addition, vitex has been clinically shown to relieve breast pain related to PMS or hyperprolactinemia. In one study, vitex significantly improved milk flow and milk release for nursing women when compared to placebo. Vitex is most helpful if milk flow is low after childbirth. (Ask a lactation consultant if you’re unsure.) European research confirms its safety for breastfeeding infants. Many herbalists find vitex relieves hot flashes better than black cohosh, the most common herbal choice in the U.S.
For fertility, Vitex increases luteinizing hormone production while mildly inhibiting the release of follicle stimulating hormone (FSH). This indirectly boosts progesterone production and chances of achieving and maintaining a successful pregnancy. Vitex is an incredible hormone balancer, which adapts to women’s different needs. Vitex has been shown to normalize heavy menstrual bleeding (menorrhagia), relieve amenorrhea (absent menstrual cycle), and decrease polymenorrhea (too frequent periods). Vitex even eases inflammation of the uterus or ovaries, so it’s good choice for women prone to painful fibroids or cysts, too. How much Vitex should one take, how much, and for how long? Just 60-90 drops of vitex extract, taken once a day all month long can improve many women’s imbalances. However, unlike powerful hormone drugs, vitex works slowly to normalize the body. Maximum benefits are often achieved after 6-12 cycles with vitex. Can I use Vitex while I’m on progesterone? You can use vitex together with natural progesterone cream. But, if you’re taking oral progestin drugs (synthetic progesterone), you should first discuss using vitex with your physician because it is not known how the herb might affect your treatment. Can I use Vitex if I am going to get IVF? Consult with your doctor before using vitex if you’re planning on having IVF. Many physicians will suggest their patients avoid herb use altogether during an IVF cycle. Because vitex does influence hormone level, some researchers speculate it might interfere with IVF or fertility drug treatments. Does Vitex interfere with medications my Dr. prescribed? Vitex is quite safe when used in its whole form. However, because of its influence on hormonal balance, it is suggested to avoid concomitant use with birth control drugs or hormone replacement therapy. What is the best form to use Vitex in and why? I prefer herbal tincture or capsules. I have found these forms to be the most effective. Teas don’t seem to extract the medicine as effectively as tinctures or capsules. Hi, I’ve been taking vitex and shatavari for 2 months now, We are currently ttc. My cycle days have went from a many years of 26 days to 42 day! My flows have been heavier and longer which I’m happier for but I’m not so happy for the 42 days now as we are ttc and that’s a long time to wait! lol Tracking ovulation has been quite difficult… but doable, is the 42 day increase side effect of the vitex? Would love to hear your thoughts, I am feel much better for taking both herbs, thank you in advance! What we see is that cycle shifts, if caused by herbs, balance out and settle on a normal pattern around 3 months of consistent use of herbs, sometimes up to 6 months. I know the shifts can be challenging, but herbs take time to be effective. Take a look at each herb’s dose to ensure you are in the general suggested use range of 500-100mg daily for Vitex and 4.5 to 8.5 mL of dried plant extract or 1,000 – 2,000mg a day of Shatavari. Be sure to also be exercising regularly and following a Fertility Diet. May I know why you started both herbs and about any other changes you have made? Thank you for your response Elizabeth! We have been ttc for 16 months now, I’m 43, I’ve had 2 losses the beginning of this year. I’m not sure what is going on, wanting to try and improve my egg health. +42 days between cycles are stressful as I’m no spring chicken anymore, I have just started the fertility diet, I eat mostly organic, unprocessed food, drink filtered water and abit overweight, but working on that! I am so sorry to hear of your losses! To be honest, if you felt value in starting Vitex, stick with it! Try to take the general suggested dose of 900-1000mg and continue all of the other work on diet and lifestyle that you have begun. Vitex needs time to work best! Consider also learning more about how to naturally support progesterone levels. Can you please let me know were to find vitex but without alcohol?And how to order? The FertilicaTM brand of supplements carries Vitex capsules (alcohol free). They are available from the Natural Fertility Shop. I have two questions: (1) Can Vitex decrease libido in women, considering its historical usage? I wouldn’t want this to occur! (2) I’ve never been on HBC, and have only use FAM with a vegetarian diet. My cycles have been getting healthier and healthier as I’ve done things like increasing my intake of eggs and avocado. However, the past two cycles have been long with very very late ovulation (like 12+ days late). Could Vitex exacerbate this issue by further decreasing my regularity of ovulation, or push it back further? Thanks! I have not ever heard of Vitex, as we suggest it to be used, to cause a decrease in libido. Some women can see temporary shifts in the timing of the menstrual cycle when they first begin using Vitex, but we see shifts work themselves out within 1-3 cycles of use. I can not know for certain how your body and cycle will react to Vitex. It may be. Some women do experience a shift in their cycle when they first begin using Vitex. The length of the menstrual cycle may shorten or lengthen temporarily before it finally stabilizes. This is just the body balancing itself out and is completely normal. I am 38 and have a low AMH. Did a round of IUI and one IVF with negative results. Looking to see what can help increase my AMH levels as my follicle growth/egg reserve is low. Please help!! We have a wonderful guide to help you educate yourself, Low AMH Levels: What Do They Really Mean For Fertility?. That would be a great place to start. It may also help to learn your vitamin D levels, as a Study Shows Correlation Between Low AMH Levels and Vitamin D.
These guides contain easy tips to consider. I hope they are helpful! Hi Elizabeth! I love this site! I was curious to know if there’s a tool to help figure out how much (mg) I should take of certain herbs given my weight. I’m a plus-sized lady and wanted to make sure I’m not taking too little of something so that I can see results. My body frequently has anovulatory cycles – which I’m trying to regulate with Maca and Vitex. I am so glad our site has been helpful! Your questions is a great one! There isn’t a tool that I know of. In general the general suggested use of an herb (as stated on the supplement bottle) encompasses the needs of many. We often suggest starting with the lowest suggested dose not matter one’s weight and working up if need be. This is a great way to approach taking herbs and nutritional supplements without personalized guidance from a healthcare practitioner. Been trying to get pregnant again for about a year. Did 4 rounds of Clomid, but no success. Then I did Vitex, 500mg/day for a month. Just found out I’m pregnant–likely 2 weeks along (out of 38 weeks) Now I’m wondering what to do? Keep taking? Wean off? If wean, how to do it? I have capsules so I can’t take half…but could do 500mg every other day… Thank You! Vitex is best weaned off of in early pregnancy with the support of your doctor or midwife. Capsules can be opened (pulled apart) and closed again before taking, or tablets broken in half in order to cut back daily over a weeks time. As you reach out to your doctor or midwife, our guide The Safe Way to Discontinue Herbs in Pregnancy shares helpful information too. I have been trying to conceive for about a year and haven’t had any success as of yet. I recently had hormone testing done, and found that I have high prolactin levels, low estrogen, and high LH. I started taking maca and royal jelly+bee pollen/propolis about two months ago. Some symptoms have improved (better energy levels), but now I’m considering adding vitex. Do you have any thoughts about that? Thank you so much for the helpful and encouraging information on your site–it has helped me so much already! I am glad you have begun to see changes already! That is so great! It may help, no matter the path to health that you choose, to find help in understanding why these levels, particularly LH, are as they are. Is there an ovarian function concern? Vitex is known to have an overall balancing effect – supporting each woman differently and helping with hormonal balance where it’s needed via endocrine system nourishment. It can be combined with a Royal Jelly/Bee Propolis/Bee Pollen combination product and Maca is you wish. If you aren’t already tracking for ovulation, this may help as well as you continue to try to conceive. I hope this helps some as you continue to research to learn if Vitex is right for you. Beyond what you are already taking, have you learned about dietary changes? It is important with uterine fibroids to learn natural ways to help the body properly metabolize estrogen. We share this and more my guide 3 Things Women with Uterine Fibroids Should Be Doing Daily. Stress can impact ovulation. It is great that you saw fertile CM however. If you actively tried to conceive this cycle, be sure to test for pregnancy before taking any new herbs/supplements or stopping those you are taking unless your healthcare provider or midwife suggests otherwise. I hope this is helpful information as well. and now it is 193 . I do not suffer from hypothyroid or a pituitary tumor and I do not take sleeping pills or any kind of medication as i avoid them as much as possible. I was prescribed to take Dostinex but it made me REALLY tired and dizzy so I am about to start taking the Vitex. Do you recommend a specific brand? Is it Beneficial for people with high prolactin? We support the use of Fertilica Vitex, which is available from the Natural Fertility Shop. By the way…I think this site is fantastic! thank you for all the incredibly helpful and informative articles! I have been on vitex for 6 months for irregular periods ( i am 45, I was 44 when I started vitex) it does not seem to have made any difference. my periods since age 12 were always 28 days like clockwork. Thanks for reaching out to us and I am sorry if you are concerned! What is important to know is that the menstrual cycle does naturally shift for many women when they enter their late 40s. While I know this is concerning, it is completely natural and normal. I share more about this topic and natural therapies to support the body in making this natural transition in my guide Female Fertility Health: Balancing Hormones in Premenopause. I hope that is helpful! I have been TTC for 1 year. I just started taking Vitex 3/29 3 pills in the morning 1200 mg along with a prenatal vitamin. I have regular cycles 24-25 days lasting 5 long days!! with very heavy bleeding. Trying to see if Vitex will work? It sounds like you need to give it more time, to truly know. Vitex takes many cycles of use to be effective. It is specific to helping to lengthen a short menstrual cycle and to help normalize menstrual flow. can we take chaste tree capsule after food or before food. which is the right time to intake the caspsule. General suggested use of Fertilica Vitex is that the whole dose be taken shortly after waking in the morning with water. Through a Fertility Consultation, one of our Master Herbalists will review, layout and explain each step of a natural fertility health program designed specifically for your needs. Once completed, your Fertility Consultation will be emailed to you as a PDF and you get a live link to an audio recording to save and review as often as you need. You also receive the opportunity to continue your relationship with your herbalist through follow-up email correspondence for a few weeks after receiving your consultation, with any questions you may have regarding your consultation. Hello, Being tryin to get pregnant for about 10 months now. My gyne blood test and scan said that i don’t have cyst on my ovaries but I have other symptoms of PCO like acne, facial/other body hair (Hirsutism), little to no period, an-ovulation, high Lutenising hormone (high LH:FSH ratio) and low progesterone. Three month clomid cycle hasn’t worked. Do you think taking supplements like vitex or those that contain vitex will not make things worse for me since it increases LH? thanks. While Vitex supports hormone balance for each woman where she needs it, there may be other herbs and nutritional supplements to consider that are detailed in the guides above. I am looking to get pregnant. It has been 7 yrs since my last pregnancy. I have had hormonal testing, endometrium scrapping, sonograms, scans, thyroid checked, etc. and everything came back clear. I want to have a baby so that I am stressing my self crazy. At the age of 32, I now have cramps and back pains associated with my menses and I become extremely emotional. None of these things happened before the birth of my daughter by the way. I am now about to start taking Vitex and I am not sure if I should take the capsules or the chaste tree drops to be most effective. I also am going to start the progesterone cream rub. Please advise on a system that works best. Thank you!!!! Fertilica Vitex capsules and liquid extract (drops) are equally as effective. In general, liquid extracts tend to be faster acting and are often more concentrated. An herbal liquid extract often contains alcohol (if it is a tincture) and one has to taste it when taking it. It is because some do not want to taste herbs and to consume even minute amounts of alcohol that Fertilica Vitex capsules are offered. We also feel it best to determine the need for progesterone supplementation prior to using natural progesterone cream. Learn more via the article Natural Progesterone Cream Use: 10 Things You Should Know. 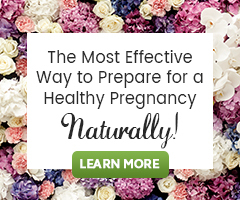 It may also help to learn more about how to naturally support the body when trying to have a child after a normal, healthy first pregnancy proves challenging. The article Secondary Infertility – When Trying for Another Child is a Struggle may shed some light on the topic. Or all I need is fem rebalance? The way in which we are able to offer you a clear personalized plan of the dietary and lifestyle changes you can make, as well as the herbs, supplements and therapies best suited for your individual needs is through a Fertility Consultation. 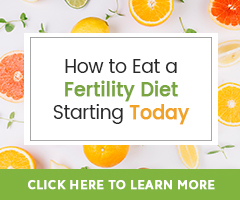 This offers you a chance to share with your herbalist all that you have done to support your fertility issue in detail, and share about your lifestyle, health history, fertility challenges and even ask detailed questions. I do hope you consider a Fertility Consultation!